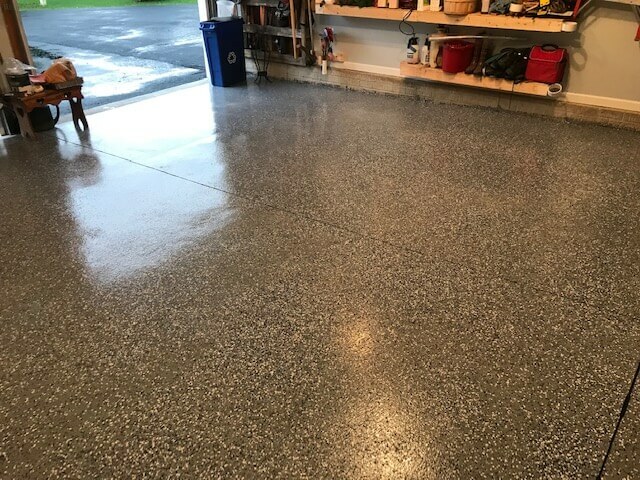 David installed the All Weather Floors Polyurea in his garage. 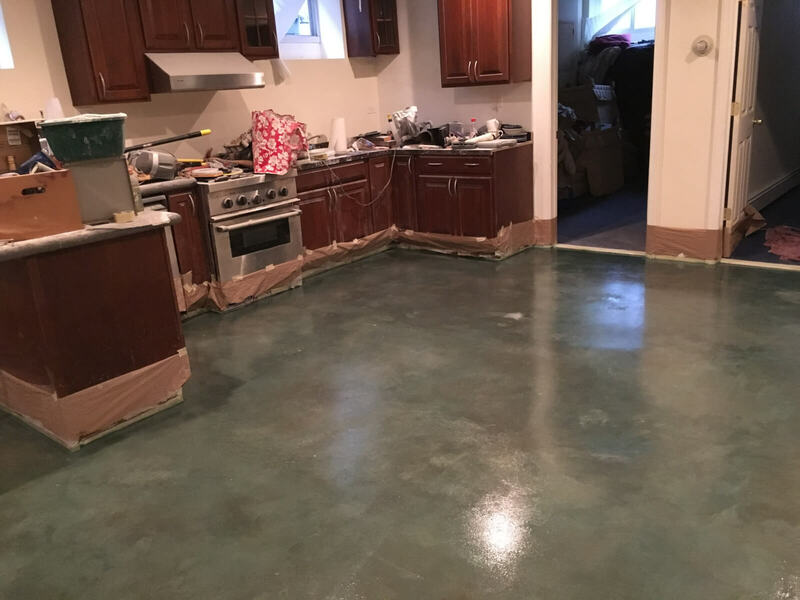 His floor looks beautiful. 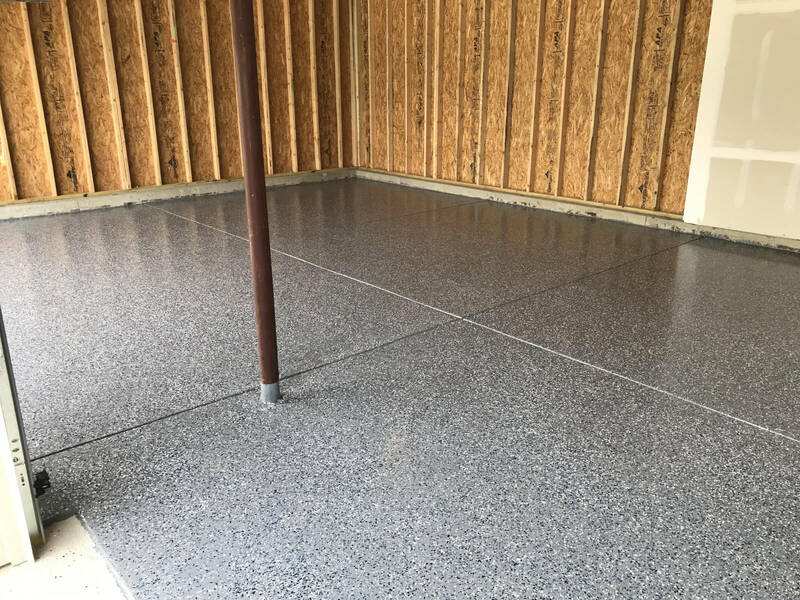 After researching other box-store brands, David chose the Polyurea. 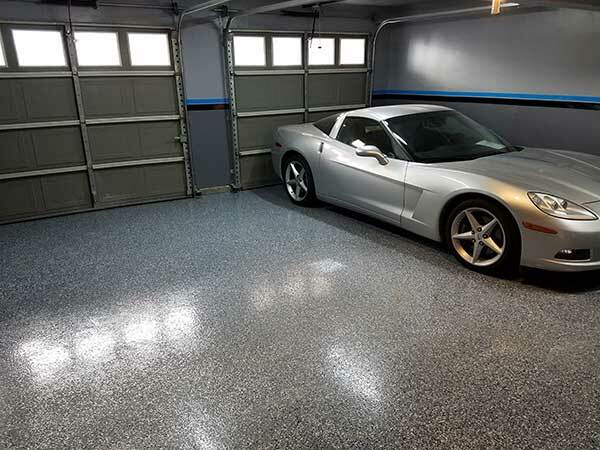 The product differs from other garage floor coatings because of its unlimited pot life and single-component system. 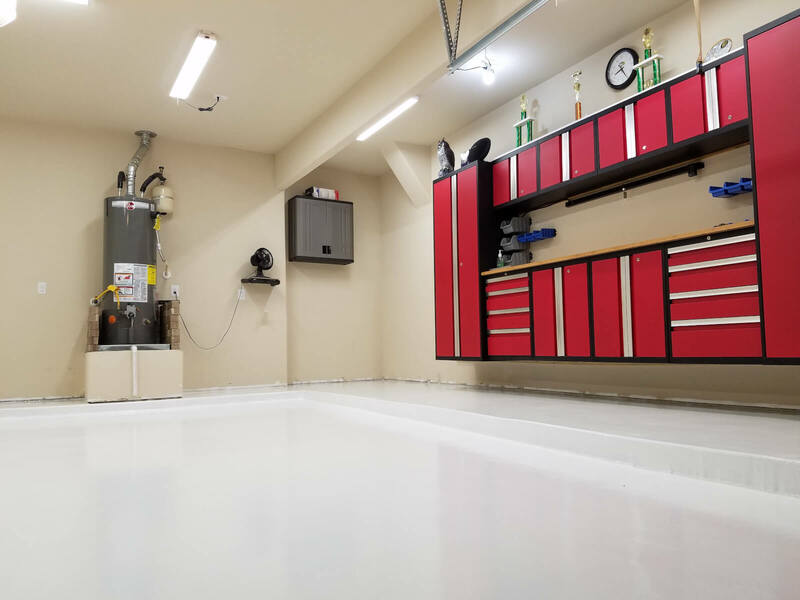 Ordering the product is easy because Garage Flooring LLC offers a variety of kits to suit your needs. 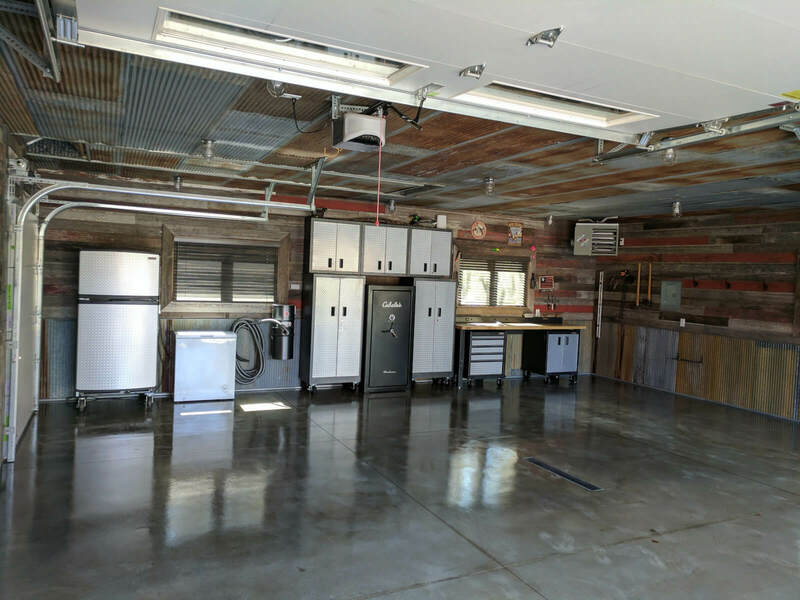 These kits eliminate the guesswork by providing all the product you need for your garage size. 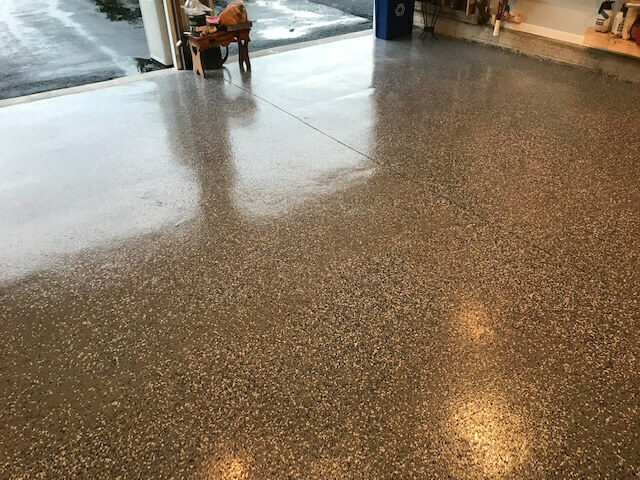 The polyurea product turned my floor into a thing of beauty! 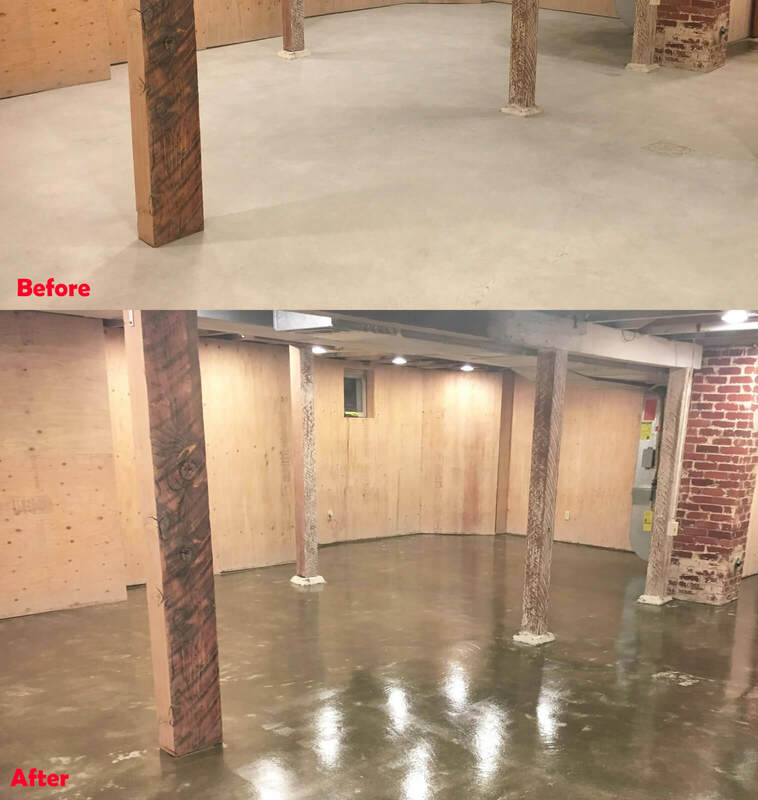 Probably over prepped the floor, but it ended up worth it. 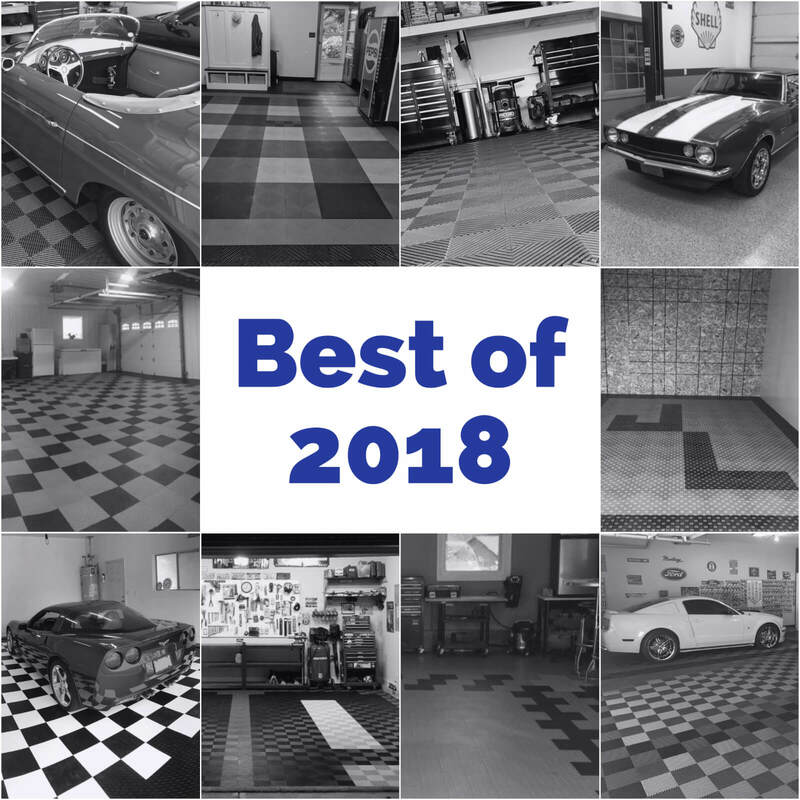 With all of the issues I read on all the box store products, I’m glad I went with this. 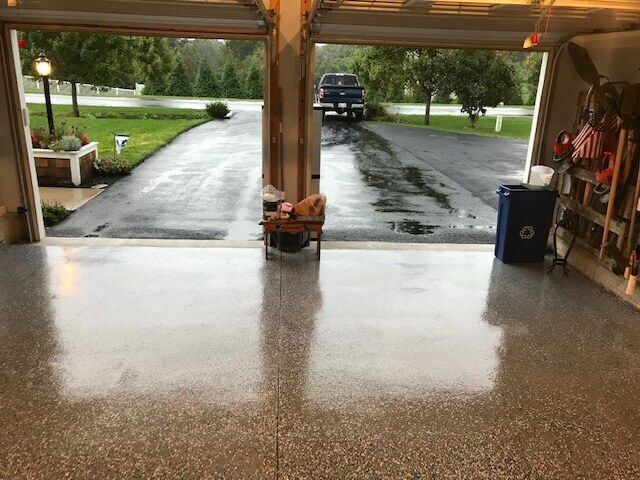 No issues in applying and dried really fast. 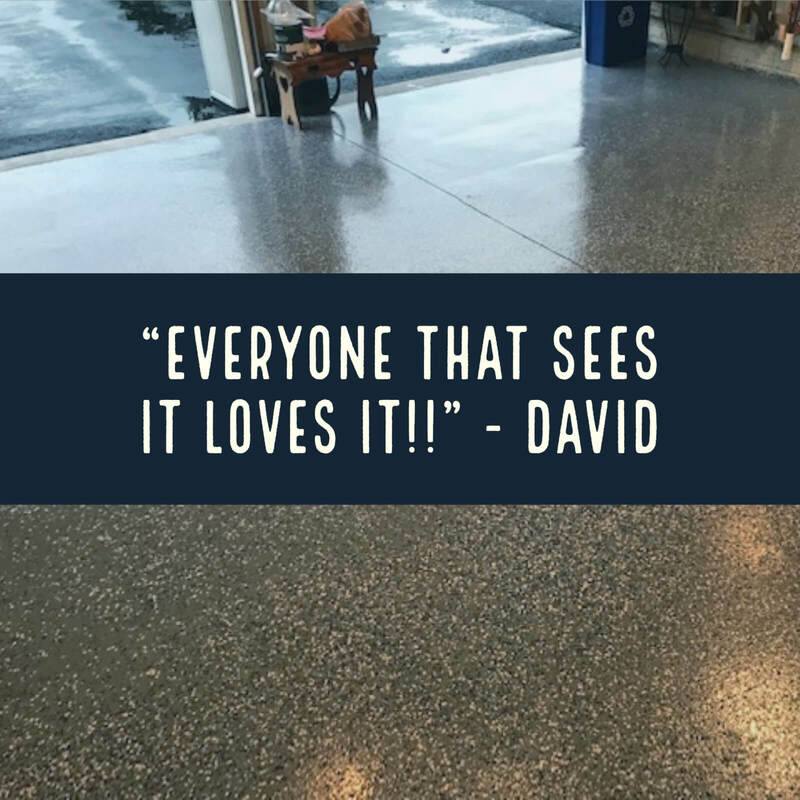 Everyone that sees it loves it!! 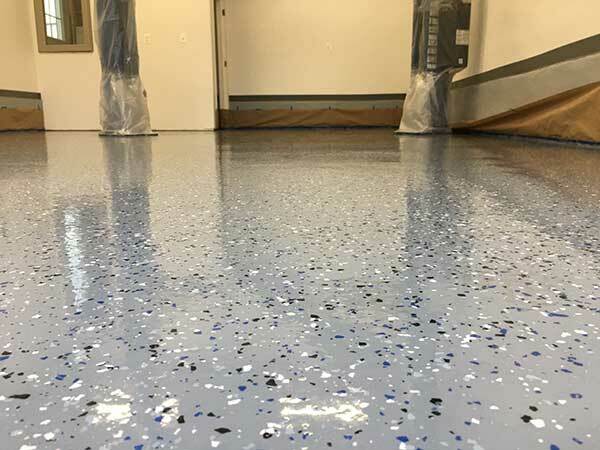 When it comes to floor coatings, prep work is very important. 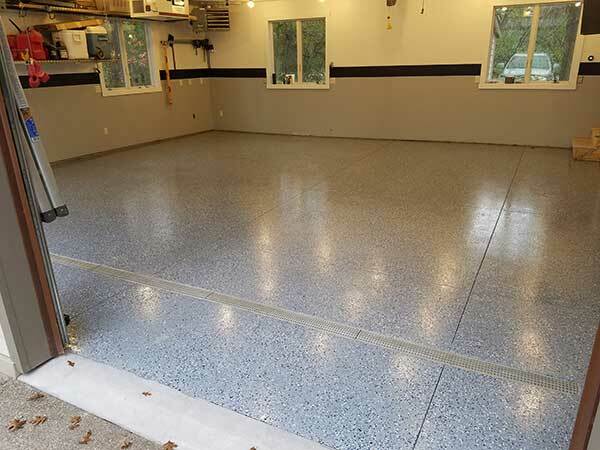 To achieve a sufficient profile for product adhesion, acid-etch, acid-stain (for clear), diamond grind, or shot-blast your floor. Desired profile is between a CSP1 and a CSP2. 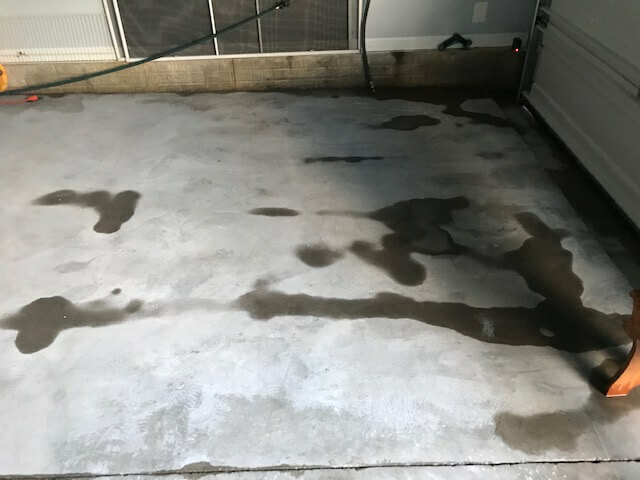 Neutralize acid after acid-etching and allow for the floor to dry. 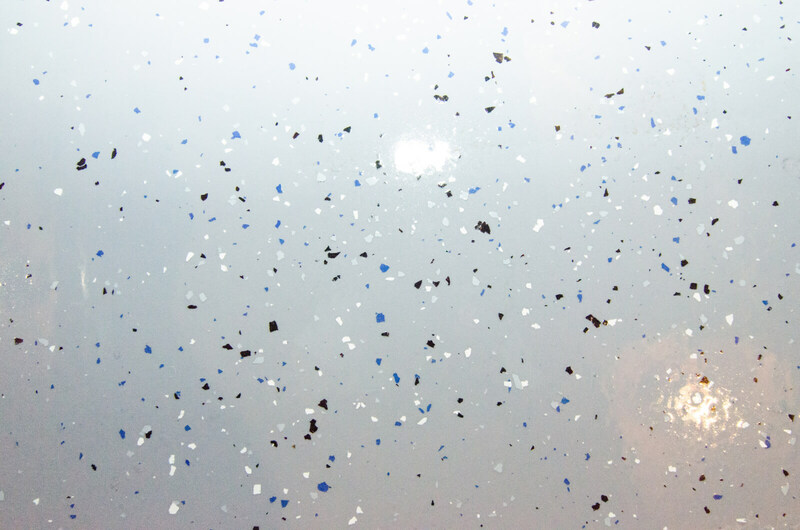 If mechanical means is necessary, clear all dust. 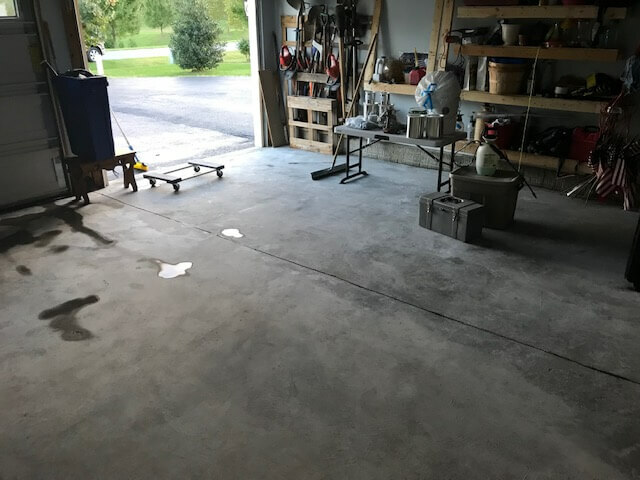 Simple application. 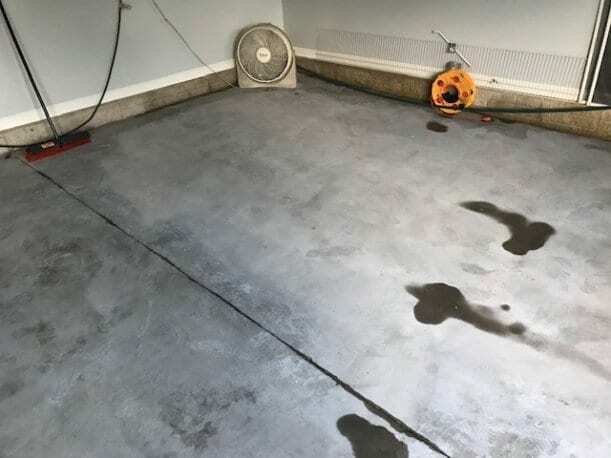 Protected floor. Beautiful look. Great price. 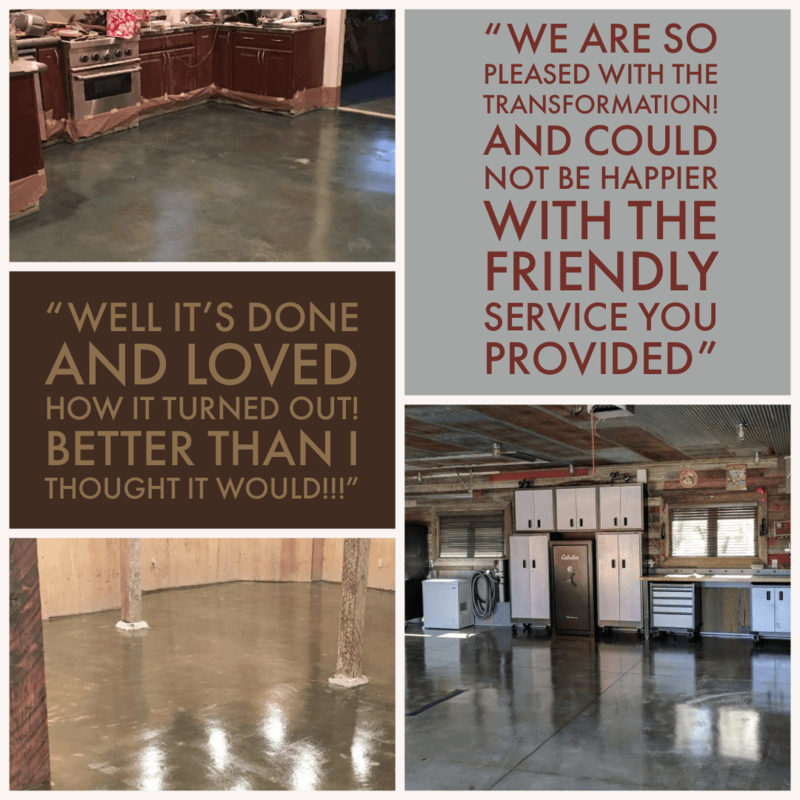 Danny used the All Weather Floors Polyurea Coating on his floor.